We understand the unique strategic and financial challenges inherent in nonprofit settings, and can work with you to provide the financial leadership required to move forward with your mission. WORKING FOR GOOD: It’s a lot of work. Our experienced team can help you evaluate your financial situation, identify necessary improvements, and strengthen your organization for the future. We understand the unique strategic and financial challenges inherent in nonprofit settings, and can work with you to provide the financial leadership required to move forward with your mission. Is your organization thriving and growing, but finding it hard to keep up with increasing demands for stronger financial management? Are unpredictable contributions and investments jeopardizing your mission? Do you need help with donor management, compliance, or audits? Do you know you need “more” financial expertise, but wonder how you can afford it? Our approach includes both consultants and recruiting, and means you pay for only the experience you need — whether that is a few hours per week, a few days per month, or a full-time, permanent person at the controller or CFO level. Look at the information in the Nonprofit menu for the details, then give us a call. Whatever your current challenge, we can help you find the right solution to generate outstanding results. A Partnership between CFO Selections and The Nonprofit Association of Oregon (NAO) - Helping Not for profits grow. 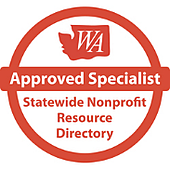 CFO Selections® is very proud to be Partnered with the Nonprofit Association of Oregon (NAO) to assist NAOs members with part time, interim and project CFO assistance as well as CFO Selections Executive Search services. For additional information about NAO, please contact Lilisa Hall at 503-239-4001, ext. 103 or by email at lhall@nonprofitoregon.org. Our requirements were extremely broad. I was skeptical myself when I reread the job description. But within weeks, CFO Selections had assembled a half-dozen candidates with the requisite skill, motivation, and values—and our ultimate selection was a genuine superstar."